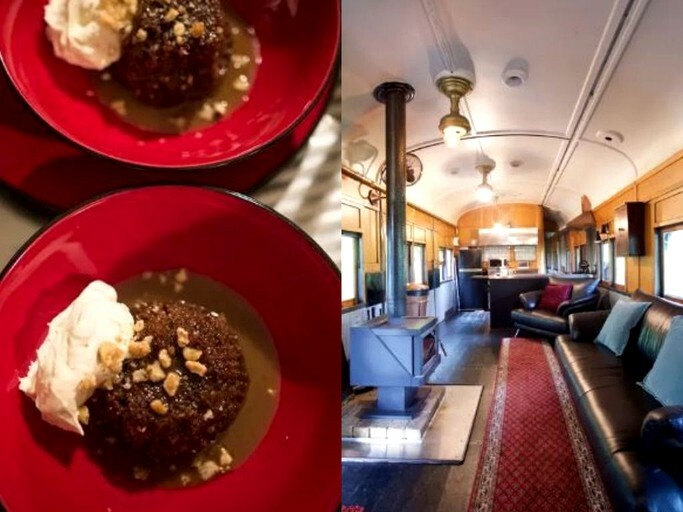 This gorgeous remodeled steam train located in Forrest, Victoria, and is perfect for those looking to get away from it all. 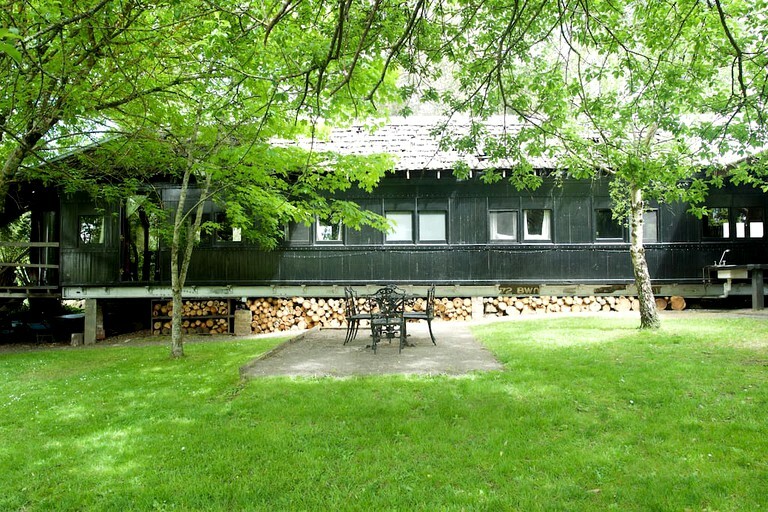 Up to six guests can be accommodated here, making it ideal for a unique getaway. This accommodation was recently refurbished using raw and recycled materials and includes three bedrooms and a full bathroom. The bedrooms are small and have been renovated from train compartments, meaning that they are close together and are just big enough to fit in a bed comfortably. The first and second bedrooms each have a luxurious queen-size bed, while the third bedroom has two twin-size beds. The spacious full bathroom includes a toilet, a sink, and a shower. Fresh linens and fluffy towels are provided. The living room is spacious, well-lit, and inviting, with two heaters and a wood-burning stove for warmth and comfort, while firewood is provided. Guests can relax on the plush leather sofa and matching armchair while warming themselves and reading a book. A wide selection of books and games are available for guests to peruse during their stay. In the fully-equipped kitchen, guests will find everything they need to feel comfortable including a refrigerator, an oven, a stove, a coffeemaker, utensils, and dishes. Additional facilities include Wi-Fi and a sound system. 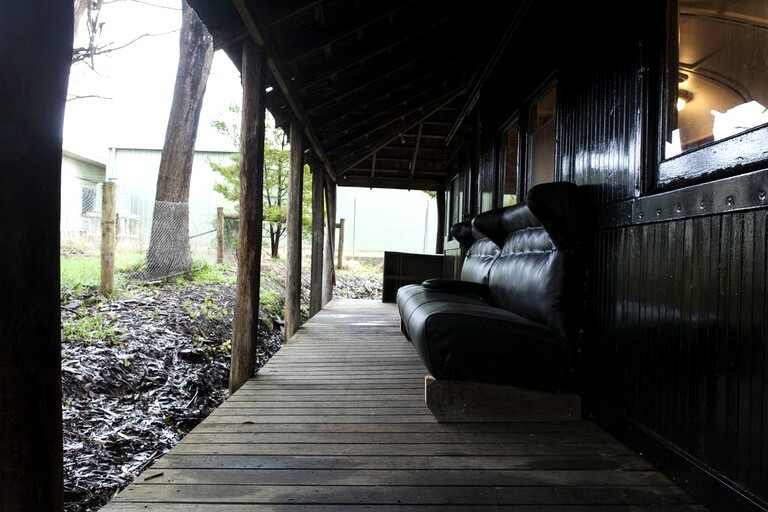 The curious accommodations were designed to be unique and eye-catching, made from recycled materials, with one accommodation being built on a framework of local tree poles. The interior is a mixture of components from a train carriage, locally felled timber, materials from a nearby church, and other salvaged bits and pieces. Fresh linens and fluffy towels are provided, while one of the accommodations has a full laundry with a washer/dryer. Both accommodations are equipped with Wi-Fi. Guests are welcomed with some basic kitchen necessities to get them started. This incredible and unique property is located in the small, rural town of Forrest in Victoria, Queensland, just a short drive from Otway Forest Park. Forrest is a gorgeous, small town of weatherboard shacks, surrounded by towering Mountain Ash rain forest with verdant ferny understory. It is lush and abundant, a popular spot for mountain biking, climbing, and hiking. There are several pubs, restaurants, and cafes in the area, especially as the town is often a stop along the famed Great Ocean Road. Just minutes away is the West Barwon Reservoir, where guests can swim, fish, kayak, or paddleboard. This area has plenty in the way of recreation and entertainment for guests to enjoy. 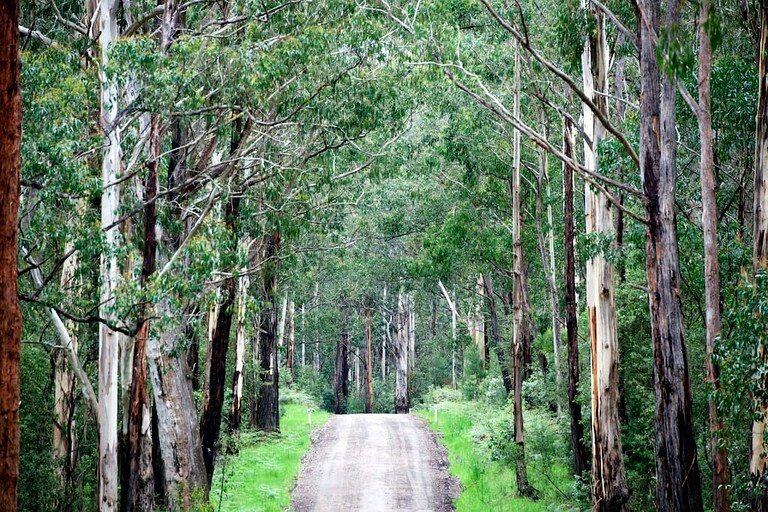 Despite being a small town, Forrest is surrounded by plenty to do due to its proximity to the famous Great Ocean Road. Fine dining is available at the Bespoke Harvest and the Brewery offers great food with locally brewed beer. Good coffee is available at the General Store with old-fashioned candy. The local pub never disappoints and is open every night, always with a toasty fire in winter. All of this is within walking distance and all use predominantly local produce. The area is rife with trails, where visitors can hike, climb, or, most popular of all, mountain bike. The trails are scenic and boast gorgeous landscapes that will make photographers happy. At the West Barwon Reservoir, guests can swim, fish, kayak, paddleboard, or boat. Pets are allowed and must be under supervision.